Here at Northern Alsatian & All Breeds Training Society (NAABTS) we have been training dogs and their owners since 1928. 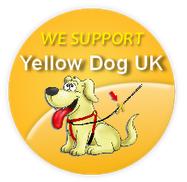 We follow the Kennel Club Good Citizen Dog Scheme (GCDS) - Puppy Foundation, Bronze, Silver and Gold Awards. Our experienced trainers are always on hand to discuss any problems/queries you may have. We have both indoor (heated/air conditioned) and outdoor facilities and ample private parking. We also have a shop that sells training equipment, treats and refreshments. Please feel free to contact us if you have any further questions or queries regarding your dogs training or our club and its facilities. DO NOT ALLOW YOUR DOG TO JUMP AT OTHER DOGS AT THE END OF THEIR LEAD! ALLOWING THIS TO HAPPEN IS NOT SOCIALISING YOUR DOG... ITS TEACHING YOUR DOG BAD MANNERS! Please remember: YOU ARE RESPONSIBLE FOR YOUR DOGS ACTIONS AND ANY INJURIES CAUSED. Your dog may only wish to play but to others it can be very stressful. The club can become very busy at times especially at the beginning and end of classes. PLEASE BE CONSIDERATE OF OTHER PEOPLE AND THEIR DOGS. Skinner’s many years of experience in producing high quality dog foods have given them a unique understanding of dogs and the role good nutrition plays in maintaining optimum health. They manufacture a range of different diets which have all been carefully formulated by their expert nutritionists to provide the correct balance of protein, carbohydrate, vitamins and minerals required by your dog. Whatever the age, breed or activity level of your dog there is a Skinner’s food to suit.